“Fighting discrimination, antigypsyism must go hand in hand with fighting social exclusion of Roma” said Szabolcs Schmidt Head of Unit, Non-Discrimination and Roma Coordination at the European Commission, at a ground-breaking meeting “Antigypsyism – combating negative attitudes about Roma in Romania,” organised by the Centre of Resources for Social Inclusion (CRIS) and the European Public Health Alliance in Ploiesti, Romania on 6 September. 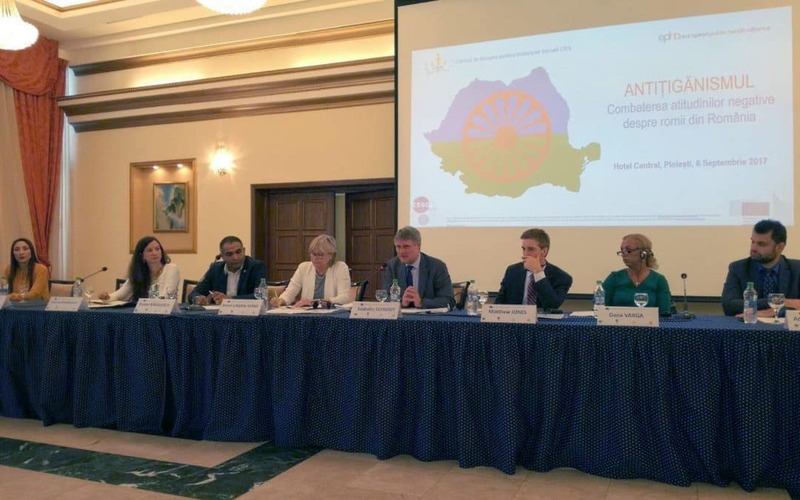 The event brought together almost 100 representatives from the European Institutions, European, national and local organisations working for and with the Roma, national government, public authorities and members of the Roma community to discuss how to tackle the persistent issue of antigypsyism. 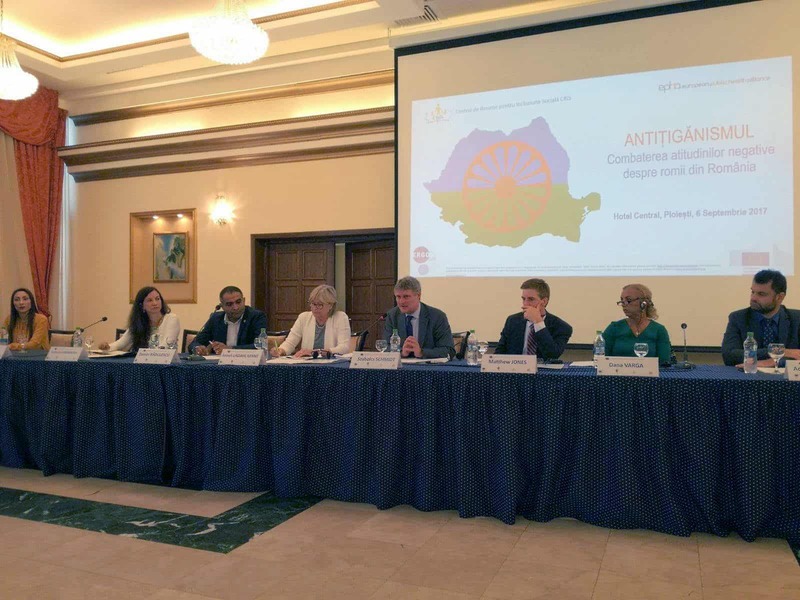 Local Roma, many for the first time, had the opportunity to share examples of the personal experiences of stigma and discrimination they face on a daily basis directly with European, national and local politicians. 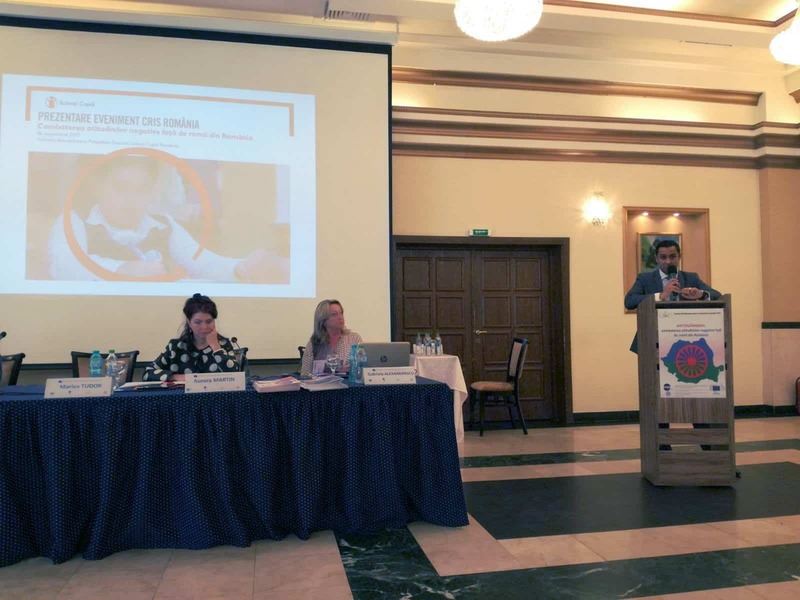 They also questioned how measures to tackle Roma exclusion, such as the integration of Roma mediators into the school system, and the involvement of local Roma experts in the collection of data which shape the development of Roma inclusion policies are actually being implemented in practice. Speakers such as Mrs Kenny, the Swedish Ambassador to Romania stressed the importance of political will, and the role of political leaders, not only in designing strategies, policies and allocating funds, but also in sending clear political messages to recognize and condemn acts of racism, at national and local level. She also stressed the need to involve members of the Roma community in the design and implementation of initiatives to tackle Roma exclusion. The importance of actions at local and national level to tackle the root causes of antigypsyism was also stressed by Mr Schmidt. 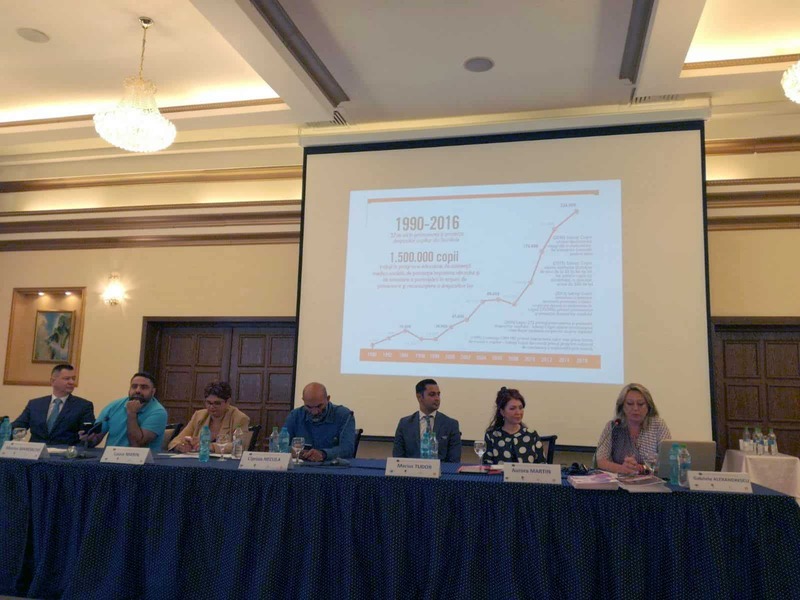 However, while welcoming the development of regional plans to improve tolerance and understanding between Roma and non-Roma, other speakers expressed their concern that nonetheless such actions are not high on the political agenda and lack appropriate funding, despite assurances from the Romanian Prime Minister, who was represented by Mrs Dana Varga, the Prime Minister’s State Counselor. Participants were reminded to participate in the public consultation currently being undertaken by the European Commission, as part of the mid-term evaluation of the EU Framework on National Roma Integration Strategies(NRIS), to ensure that the voice of local people is heard, as national governments report on the activities they have been undertaking since 2011 to tackle Roma discrimination. As a result of the event, CRIS will develop a set of recommendations for combating negative attitudes about Roma in Romania, which will be forwarded to stakeholders, such as the European Commission, the Presidency and the Government of Romania, stressing the importance of maintaining the links between local communities and the European, national, and local institutional level established by the Conference, for the benefit of the Roma community.